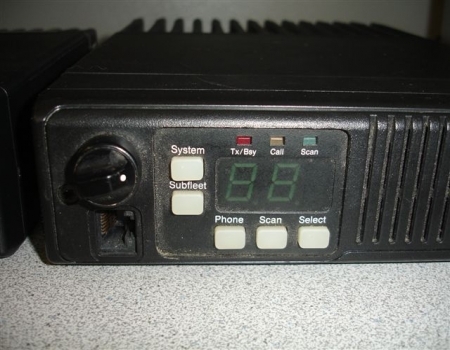 The Motorola Maxtrac is a synthesized mobile radio that was designed to be used for commercial or business interests. 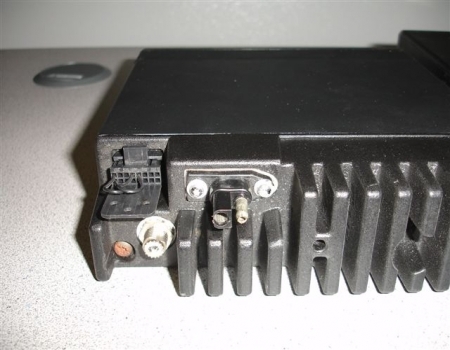 The Maxtrac is very similar in design to the Radius and GM300 series of transceivers. 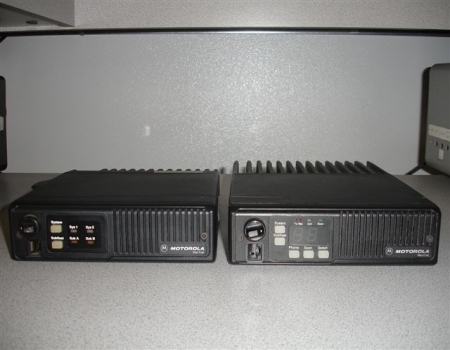 Some of the differences was that MaxTrac and Radius series of radios controlled the RF power output with a timer that counts the seconds of PTT key down, the GM300 series measured the power amplifier deck temperature with a thermistor. Another difference is that the front end has a local attenuator to cut down the intermodulation, also the channel data had a data bit set in RSS to switch it in and out. All three of these product lines are not able to operate full duplex as they are based on a single synthesizer design, which used a single VCO. The Maxtrac logic board incorporates a 2 kilobyte 24 pin EEPROM installed in a 24-pin socket which is then soldered into a 28-pin PC board layout. This left the top four pins of the 28 pin circuitry unused as the designer had planned. This way if someday the operation of the radio needed to expand the EEPROM the wiring on the printed circuit board was already in place. The photograph on the left is a close up of the front controls and microphone input on the MaxTrac. The photograph on the right shows the rear inputs which include the antenna, power and accessory connector. 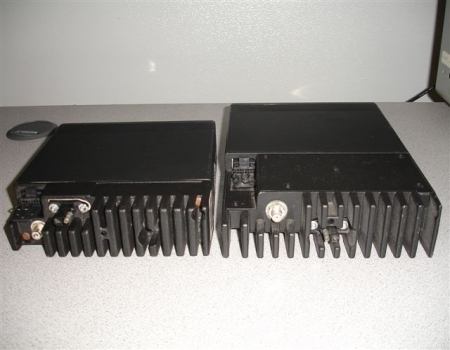 These radios came with either a 5 pin or 16 pin accessory connector. Many hams keep and eye out for the 16-pin radios because they are much easier to interface to other equipment.